The shortfall of doctors in general specialties in set to increase to about 10,000 in the next decade. Before, it was primarily residents who went in search of extra work to supplement their income, but with increased demand for practicing physicians and the greater choice in the kind of work they’re able to do, many practicing physicians are making the most of moonlighting. In recent years, of the thousands of physicians that were surveyed regarding why they were taking on additional work many cited supplementing their income as their biggest reason. Since it’s become easier to take on additional work – as clinics closer to home need extra pair of hands – doctors no longer need to travel to remote destinations to begin their shift. So, whether you’re thinking of moonlighting to pay off debt, pay for your child’s college tuition or start saving for retirement, you need to consider the pros and cons involved. The biggest benefit to becoming a moonlighter are the financial benefits you’ll experience from only a few hours of work. Many moonlighting physicians are easily able to supplement the shortfall in their full time job by taking on additional work after hours. If you’re intending to make a change in your career soon, there’s really no better place to start networking than when you’re moonlighting. Firstly, you’ll get access to other a new working environment exposing you to a possible employers, references and even other physicians that could help you in your search. These networking opportunities may prove more valuable than the income aspect in the long run. Although the financial benefits are touted as the most significant, many physicians mention the clinical experience they’re exposed to while moonlighting. Many of these experiences they would not have encountered in their full time role. And with the added experience they’ll find growth in their career far easier than their peers. If you’re not intentional with the choices you make in regard to the position you’ll choose, you could become seriously overworked, very quickly. 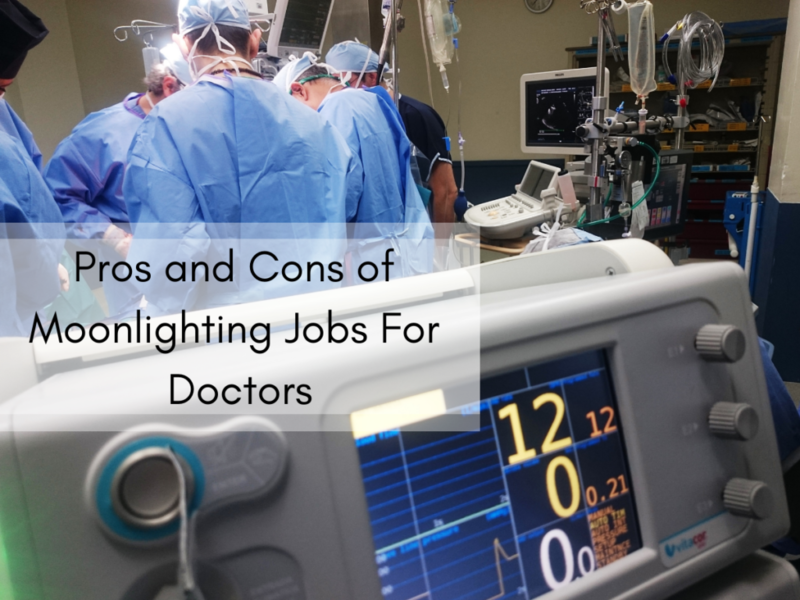 The added stress and pressure of a second job is one of the reasons moonlighting has been avoided by practicing physicians over time. However, as physicians are in demand the type of role they play and the nature of the work they’ll choose can be configured to suit their schedule. As a moonlighting physician you’re not guaranteed protection against professional liability, as many secondary employers won’t take on the expense. In most cases you’ll need to purchase the correct liability insurance for yourself to safeguard you financially in the event you are liable or in the very least accused of being liable. You won’t have as much time on your hands as you did before, even if you only moonlight a few hours each week. That’s likely because you’ll need to recover after working a 12 hour shift in any facility and would need to sleep and recuperate for the day ahead. That burden on your schedule can make spending time with your family and friends a luxury when it once was a certainty. Where To Find Moonlighting Job? Our job portal will help you sought through a variety of jobs based on your expertise, field of medicine and your specific state. Applying for these jobs is relatively easy and can be done through our site. If you’re short on time you may find that by signing up to get job alerts you’ll save plenty of time you would otherwise have spent scouring the site for jobs. Are you already a Physician and are searching for Physician Jobs in Ohioor Physician Jobs in the US? Please contact us today and our experience Physician Recruiters will help you to find the right Physician Job! In today’s highly competitive healthcare environment, a physician recruitment firm can not only help you find potential candidates, but also give you some advice about the recruitment process. Whether you are searching for permanent or a Locum tenant physicians, a qualified recruitment firm can help streamline that search. Equipped with expertise and contacts in the human resource field, top physician job recruiters can help you overcome personnel shortage. Besides, you can find a plethora of recruiters who specialize in physician jobs. With that being said, these firms can also help in the negotiations of salaries and other incentives which are paid to physicians. Here’s four reasons why you should hire physician recruitment firms. 1. Save time- Let’s face it, recruiting, screening and hiring a candidate takes a significant amount of time. However, when you hire a recruitment firm they will help you find the right candidate and do the hard graft for you. A physician recruitment firm has immediate access to a pool of qualified candidates so you don’t waste any time in hiring. 2. Cost-effective– One of the major benefits of hiring a physician recruitment firm is the fact that it is cost-effective. The cost of hiring directly can be much more expensive. 3. Access to the best- In addition to saving you time and money, a physician recruitment firm will also have access to the best talent available. This is because a physician recruitment firm usually has the expertise and the talent in recruitment, as well as an extensive database of qualified candidates. Furthermore, they are able to provide the most qualified candidates when there are vacancies in your healthcare facility. Many recruitment agencies will even interview the candidate before sending off their CV to the employer so half the work is done. 4. Market knowledge- Another major benefit of hiring a physician recruitment firm is their market knowledge. They will most likely know what your competitors are doing and will be able to use that knowledge and expertise to benefit your firm too. While these were some of the benefits of hiring a physician recruitment firm, there are many others. However, it is vital that you hire a reputable physician job recruiters. One of the recommended ones is Doctor’s Choice Placement Services. They are the leading physician recruitment firm and offer a broad range of physician recruitment services at affordable rates. Backed by a team of highly-skilled and seasoned recruiters, Doctor’s Choice Placement Services is capable of handling all aspects of the physician recruitment process. You can visit their website at www.doctorschoiceplacement.com. It goes without saying, physician jobs are in demand. However, when you set out on your own to find a suitable position, it can be extremely difficult to find the right position. Furthermore, with increasing competition in the industry and so many people applying for physician jobs, it isn’t surprising that vacancies are hard to come by, despite the fact that many job boards are offering physician jobs in Pennsylvania. With so many elements to consider, it can be difficult to know where to start, especially if you are brand new to a job search. Nonetheless, finding employment as a physician in Pennsylvania is vital, considering the fact that these jobs are among some of the most lucrative and sought-after jobs in the medical field. 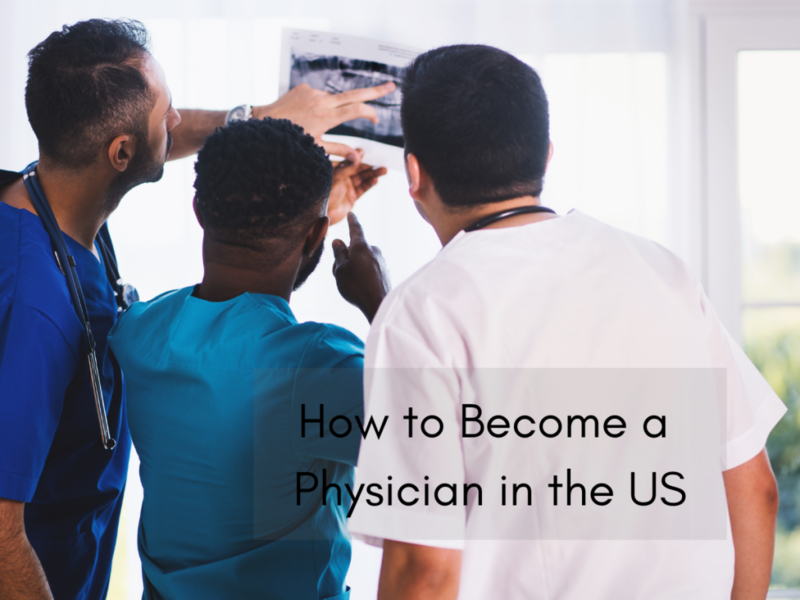 Whether you’re just starting or looking for an experienced role, the five tips below are sure to help youin your quest to find the right physician jobs. 1. Keep your CV up to date- One of the major factors that you need to take into account for finding a physician job in Pennsylvania is making sure you keep your CV up to date. Read through the job description and person specification for each role and tailor your CV accordingly. Highlight the important aspects of the job the employer is looking for and make your CV the best fit you can. It’s about quality not quantity. 2. Physician recruiting firm- Without a doubt, a crucial factor that you need to take into consideration for finding a physician job is making sure you use a physician recruiting firm. A physician recruitment firm knows firsthand what the employer is looking for and can also offer helpful advice to you as the candidate before going for an interview. They will work for you and help you to secure the best position possible. Remember, a physician recruitment firm will have relationships with many of the employers and will know about any up and coming vacancies much quicker than you do. 3. Online job boards- When it comes to finding physician jobs, make sure you keep an eye on online job boards. Using online job-boards will allow you to quickly and easily browse through the positions advertised and apply to a wide variety of physician jobs from the comfort of your home. 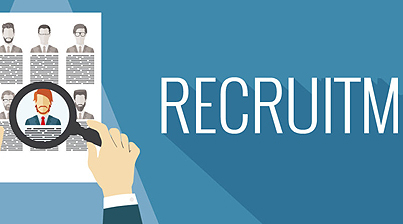 Many recruitment firms also post on online job boards as well to attract new candidates. Get in touch with them too and expand your chances of landing that dream physician job. 4. Physician job fair- In addition to searching for jobs on online job boards, make sure you also attend physician job fairs. This is an excellent way to network with potential employers and meet them direct. This means you can ask any questions you may have on the spot which can be extremely valuable. It also means you can meet with other likeminded candidates. 5. Be available- Another major factor that you need to take into account for finding physician jobs is being available. Since most employers have specific shifts to fill, the greater the availability, the greater your chances of getting hired. So there it is, some of the tips and tricks for finding physician jobs in Pennsylvania. Follow these and you will land your dream job in no time! Searching for physician jobs in North Carolina is easy with Doctor’s Choice Placement Services. Our goal is to be the bridge between medical centers looking for physicians and physicians looking for jobs in medical centers. When it comes to physician jobs in North Carolina, you’ll find that we have a wide variety of options for you to choose from that are sure to meet your needs. North Carolina’s medical licensing board requires you to provide them with an endorsement, proof of your ECFMG certification status and your medical license from another state, as well as your ACGME-approved post-graduate training. If you are coming from Connecticut, you will have to fill out an extra form in order to get your medical license in North Carolina. Maybe you’re only planning on staying in North Carolina for a little while or want to feel out the state before looking for a permanent position. Fortunately, we have job listings for both. For temporary positions, we have locum tenens listings that let you test the waters. To jump right in to a permanent position in North Carolina, you can also find many of those. 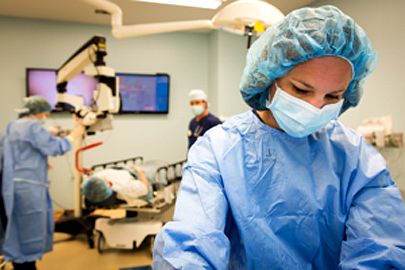 North Carolina boasts four medical schools to choose from. There’s the University of North Carolina School of Medicine in Chapel Hill, the East Carolina University Brody School of Medicine in Greenville, the Wake Forest School of Medicine in Winston-Salem, and Duke University School of Medicine in Durham. If you are searching for physician jobs in a ranking hospital in North Carolina, there are several to choose from, including Vidant Medical Center in Greenville, Duke University Hospital in Durham, Mission Hospital in Asheville, Carolinas Medical Center in Charlotte, and Moses H. Cone Memorial Hospital in Greensboro. The first step is to visit our website, so you’re already on your way to finding the perfect physician job for you in North Carolina! We don’t require registration to search through our list of physician jobs, so you can keep searching until you find exactly what you’re looking for. There are several ways to search for physician jobs: length of position, specialty, and location. Once you find a position you’re interested in, it just takes one click to get to the online application form. There, you can fill in your information, write your cover letter, and upload your credentials. Then we’ll send it directly to the hospital for you so all you have to do after that is wait to hear back from them. We make it easy for you and for them. If you’re searching for physician jobs in North Carolina, we hope that our website can make that search easier, faster, and successful. If you’re having a hard time searching for physician jobs in Ohio, we’ve got some good news for you. Here at Doctor’s Choice Placement Services, we work hard to provide a number of listings from hospitals, clinics, and medical centers all over Ohio for physicians who are looking for work. If you are already living in Ohio or wanting to move there, we make it easy to find a physician job. To get your medical license in Ohio, you will need an endorsement unless you meet all other requirements in which case you can use your status with the National Board of Medical Examiners. You also need ECFMG certification, and have completed all of the USMLE steps within the last 7 years along with at least 1 year of post-graduate training. Permanent positions are perfect for a physician who’s planning on being in Ohio for the long haul, and there are a number of permanent, full-time positions available through our website. We also have a number of temporary or locum tenens positions for people who are looking for those. Either way, you’re sure to find the position length that best suits your needs. Ohio boasts no less than seven medical schools including Case Western Reserve University School of Medicine and Cleveland Clinic Lerner College of Medicine in Cleveland, Boonshoft School of Medicine at Wright State University in Dayton, University of Cincinnati College of Medicine in Cincinnati, and University of Toledo College of Medicine in Toledo. 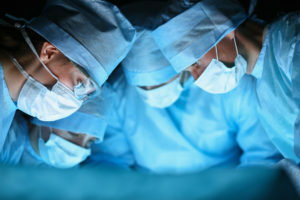 Ohio has 26 ranked hospitals throughout, including the Cleveland Clinic and University Hospitals Cleveland Medical Center in Cleveland, Christ Hospital in Cincinnati, Miami Valley Hospital in Dayton, Ohio State University Wexner Medical Center in Columbus, and ProMedica Toledo Hospital in Toledo. These are just a few of the ranked hospitals found in Ohio. The fastest and easiest way to find a physician job in Ohio by searching through our listings. It’s free to do, and you don’t even have to register in order to search and even apply online through our convenient online application form. All of our listings are updated daily, so there are always new physician job postings to be found. Once you find your dream job, you’re just a form away from having your resume and cover letter sent to the medical center. It only takes a few minutes for you to type in your information along with a letter to the hospital or clinic, then just upload your resume and hit send, and we’ll do the rest! For anyone searching for physician jobs in Ohio, we’re confident that you’ll be able to find something for you through our many job listings!